For years, Tillman Tire Company has been proud to serve as Junction’s number one retailer of quality tire brands for cars, trucks, RVs, tractors and more. Our experts are skilled in handling tire mountings, rotations, repairs and offer convenient 24/7 emergency roadside service. 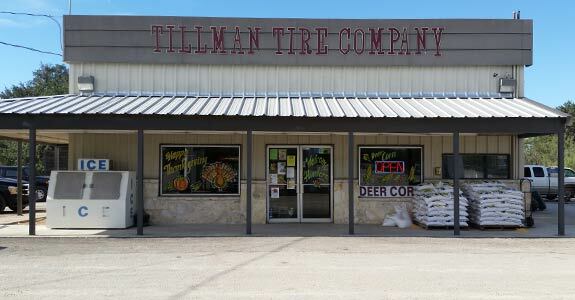 For all of your tire needs, there is only one name you need to remember: Tillman Tire Company. We have been providing customers with the very best in tires and tire services since we opened our doors. With our huge inventory of top brand tires in Junction, TX, you can find the best fit for your needs and budget. We offer both new and used tires for an assortment of vehicles, including cars, trucks, tractors, RVs, ATVs and more. Not sure what you need? No problem. Let us assist you in choosing a quality brand. With decades of experience, we have the knowledge to cater to your exact specifications. We offer a wide assortment of top brand tires for cars, trucks, tractors and more. 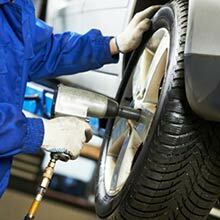 We are able to perform a myriad of tire services, including repairs and rotations. We have a reputation for honest service and knowledgeable professionals. Our rates are excellent and our service is quick.